Melissa's delightful and unique building has been a landmark in Banff since 1928. Melissa's is a locally owned and operated restaurant and is proud to be a part of the heritage of Banff National Park. 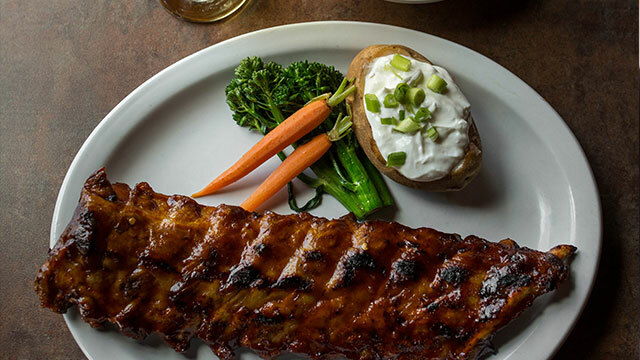 For over 30 years Melissa's Missteak has been Banff's Best Steakhouse and Family Restaurant. 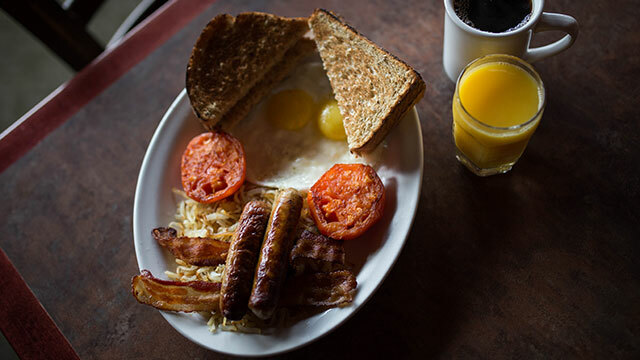 We open for our legendary family breakfasts at 7:00 am and serve dinner well into the evening. 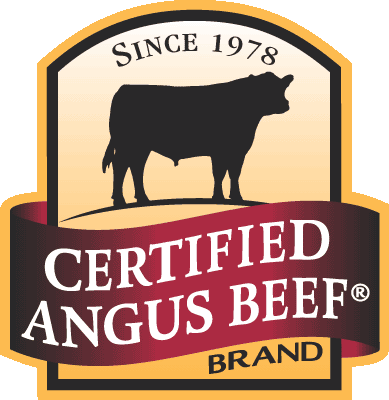 We're so proud to serve Albertan Certified Angus Beef, and guarantee that our meats are and always will be the finest, most mouthwatering, you can find in the Bow Valley. Melissa's Missteak has been voted "Favourite" Banff Restaurant for seven consecutive years by the Calgary Herald Readers’ Choice Awards. Upstairs you will find locals in Mel's sports bar. They have the most extensive sports setup in Banff, including live music two nights a week. Families are welcome until 8 pm. 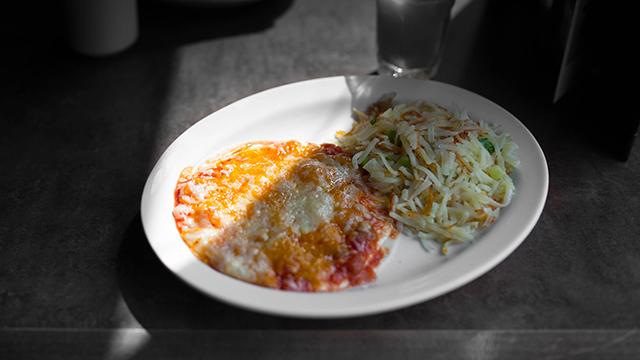 We take great pride in offering fresh, "made from scratch" meals on all our menus, and we cater well for vegetarians. And of course we also have a fantastic children's menu for your little ones. Whether you're looking for a late breakfast, a filling lunch, fresh Atlantic lobster, a steak dinner, local information or just service with a smile, we're here and waiting to put a smile on all our guests’ faces. Opening Hours 7:00 AM - 9:30 PM, every day of the week. If you want to start your day off the right way we suggest doing it the Melissa's way. Breakfast is fast, fresh and portions are large ready to set you up for whatever adventures your day brings. Served daily from 7am-4pm. Whether your need a snack or a feast we can guarantee to fulfill any and all of your needs. From finger-food, pizzas and sandwiches to tasty seafood dishes and some of the best steaks around. All while leaving your wallet smiling as much as you. Serving some of the finest quality meats you can find in the Bow Valley and all Alberta sourced! 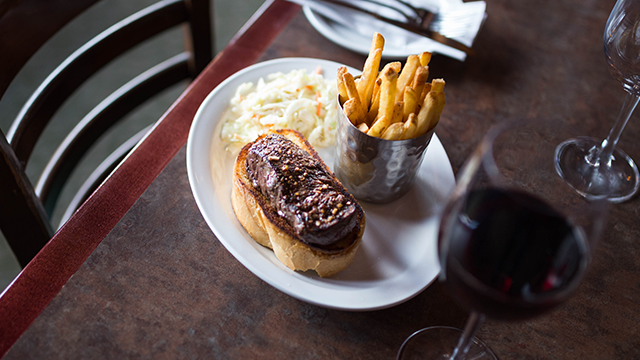 We're proud of cooking some of the best steaks around, and if that's not what you had in mind take a look at our menu. Disappointment is not part of our restaurant. I ALWAYS either recommend or bring visiting guests to Mel’s for breakfast, Lunch OR Dinner! Best Value in a non-chain and locally owned business! Friendly staff, Good food. I’ve Never had a bad meal at Mel’s. In fact I’ll be there Friday with more out of town guests! Fantastic steak available here. The best I have had in a long time. Brilliant choice of cocktails I tried a few and the staff are very friendly. Would definitely recommend to anyone. Thank you Mels. Amazing food! Steak was cooked to perfection. Excellent super friendly service. Everything was superb, from arriving to eating the best steak I’ve ever had in my life. The service was brilliant from showing us the different cuts available to the discussion over the wine choice. This is one of my most favorite places to eat in Alberta. 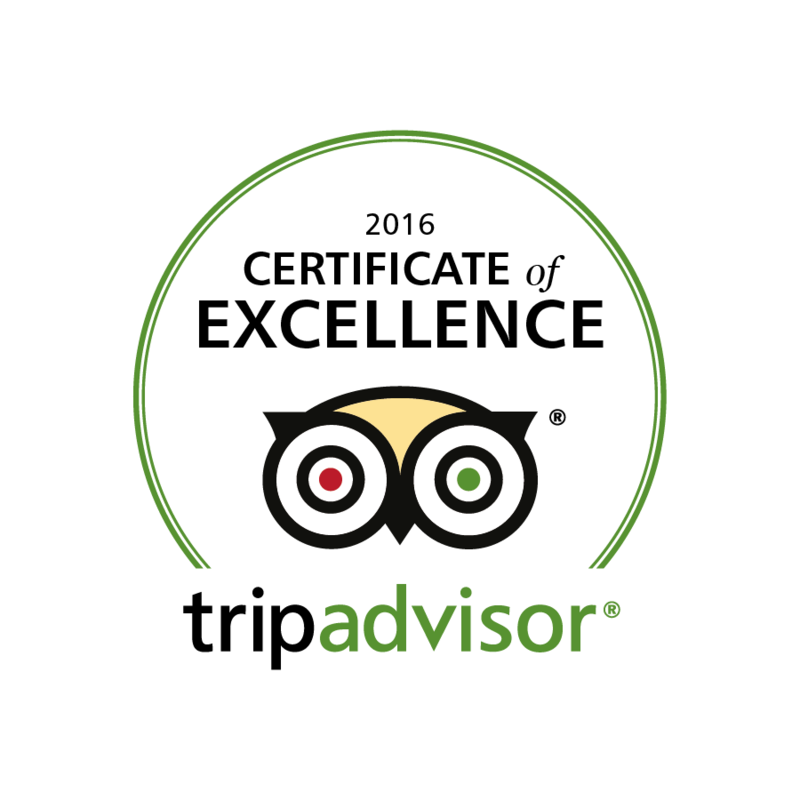 The food is great, the service is excellent and the atmosphere is warm. I have never been disappointed at Melissa’s. Melissa’s isn’t your standard chain restaurant offering. We were tired of the “been there, done that” of the competition and decided to give Melissa’s a try on a recent trip to Banff. Make sure to give Melissa’s a try. We’ll definitely be back. Great local breakfast place. Homemade hash outstanding. Lightest pancake the size of the very large plate! Made an incredible special effort for my daughter’s birthday breakfast. Wait staff super friendly and gave us great local advice on Banff and Lake Louise. Don’t miss it! My #1 favorite spot in Banff. The servers are professional, and I have never been disappointed there, during winter or summer, morning or evening. Check them out, you won’t be disappointed! Such an amazing place food was lovely decor was cozy and the staff were super friendly! I will be making it a go to spot during Banff visits. I think I had the best breakfast of my life here. It was absolutely delicious. I would’ve licked the plate had it been appropriate! Service was prompt and our server was nice, even cracked a few jokes. We have not yet left Banff and I KNOW I will be back.